The mumps are back. Do our kids need booster shots? A third shot of the usual two-dose vaccine or even booster shots during adulthood may be the answer to getting the mumps back under control, say the authors of a research article published Wednesday in the journal Science Translational Medicine. Recent waves of mumps outbreaks like those that hit Penn State students last winter and spring and interrupted Syracuse University's lacrosse season last fall can be blamed not on students' failure to get vaccinated but on the fact that the vaccine can lose its effectiveness over time, according to a new Harvard study. A third shot of the usual two-dose vaccine or even booster shots during adulthood may be the answer to getting the mumps back under control, say the authors of the research article published Wednesday in the journal Science Translational Medicine. Other vaccine experts, including those with the federal Centers for Disease Control and Prevention, agree with them, but there are differing opinions about when the additional immunization should be given, and to whom. Aside from those issues, research like the new Harvard analysis is helping focus the fight against a disease that decades ago was cut from nearly 200,000 cases a year to just a few hundred but that has now rebounded. A 2006 outbreak affected 6,500 people. In the last couple of years, cases have climbed back into the several thousand. 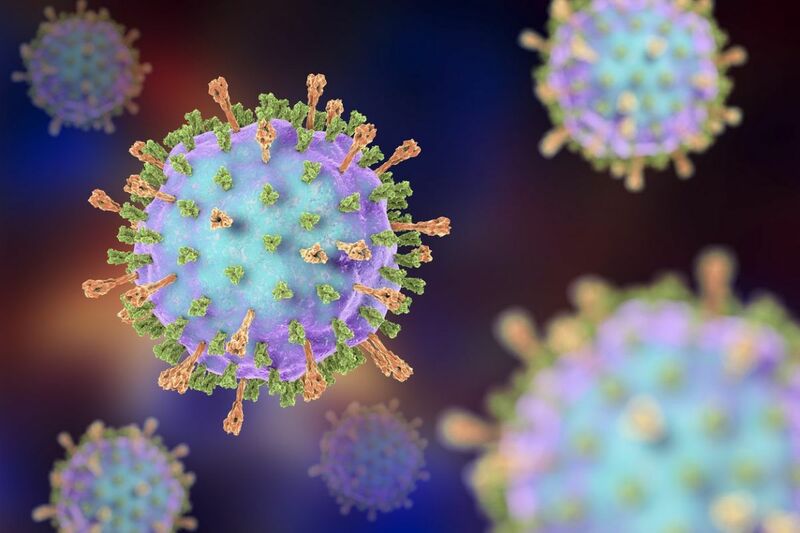 "Our results strongly support that the answer is waning vaccine-induced immunity, not a new vaccine-escape strain," said coauthor Yonatan H. Grad, assistant professor of immunology and infectious disease at the Harvard T.H. Chan School of Public Health. "Our finding that many of the recent outbreaks in college-aged populations might owe to waning can maybe help motivate future studies into the strength and duration of 'routine' doses at other ages," added fellow author Joseph A. Lewnard, a postdoctoral research fellow at the Chan school. If a new viral strain were the prime culprit, many of the cases being identified would be in younger children, rather than teenagers and youth adults, the researchers said. Currently, children are recommended to be vaccinated for the mumps at about 1 year of age and before entering school. The Harvard study suggests a third routine vaccine at about age 18, when immunity may have lessened, or even administering boosters later in life, especially in communities where adults come into close contact with someone who is infected. If you've had mumps as a child, it's unlikely you'll get it again, although a small percentage of people have had a mild case on the second time around. This is not the only vaccine that can lose effectiveness over time. The whooping cough vaccine, for instance, is recommended to be given to women during each pregnancy to protect their unborn child. Babies can't get vaccinated for a few months after birth. In January, the CDC endorsed a recommendation of its Advisory Committee on Immunization Practices for a third dose of the mumps vaccine to be given to people at risk of infection, such as college students during a campus outbreak. Kelly L. Moore, chair of the mumps work group of the advisory committee and director of the Tennessee Immunization Program, said her group recommended an additional dose in response to a specific risk because it's not yet clear how long protection from a third mumps vaccination would last. The mumps virus is spread through saliva or respiratory droplets, often by people living very near one another, engaging in activities like kissing, using one another's cups and utensils, or sharing cigarettes. "Where we have seen problems is primarily in social/college groups that have extended close contact that overwhelms the protection of the vaccine," Moore said. Still, the standard two-dose vaccination does seem to protect most people, even years later. "We also know that cases among vaccinated persons are generally mild and uncomplicated illnesses," Moore said. The most obvious symptom of the mumps is swelling of the salivary glands, which gives the patient the look of a hamster storing feed in its cheeks. It can also result in body ache, fatigue, headache, loss of appetite or nausea, and fever. Mumps also can have serious consequences, including sterility and permanent hearing loss. Before there was a readily available vaccine for the mumps, "it was the most common cause of acquired deafness in the United States," said Paul A. Offit, director of the Vaccine Education Center and a professor of pediatrics at Children's Hospital of Philadelphia. "The good news," Offit said, is if you do get the mumps after having been vaccinated, you're at very little risk of those serious effects. With the current resurgence of mumps cases, Offit said he would favor a third vaccination around ages 11 to 13. At that age, he said, chances are better than with older adolescents of getting children into a doctor's office. Plus, a vaccine at that age is likely to retain effectiveness into the college years, he said. "If you're going to prevent something, you shouldn't wait for the outbreak to start, because what that does is, it grandfathers in some people who are already sick," Offit said. "I think we can do better."